Two Injured After Boats Collide In St. Lucie River In Stuart | Schuler, Halvorson, Weisser, Zoeller & Overbeck P.A. Two people were injured after two boats collided in a boating incident in Martin County. According to Martin County Fire Rescue, the two boats were at channel marker 17 in the St. Lucie River when they collided. First emergency responders arrived shortly after the boating incident to rescue the injured victims. Both people involved in the crash were transported to hospitals, according to Carol Lyn Parrish, Florida Fish and Wildlife Conservation Commission spokeswoman. The victims were first transported to Sandspirit Park and then taken to Martin Memorial South Hospital. One of the victims was reported to have suffered serious traumatic injuries in the crash. The condition of the other victim is unknown at the time of filing this report. “One of the men taken to the hospital looked unconscious and they had to perform CPR,” said Jose Abrigo, 52, who witnessed the crash. 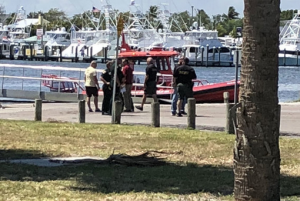 A Martin County off-duty marine deputy heard the crash and went to assist the injured boaters, Sheriff’s Office spokeswoman Christine Christofek said. Sheriff’s Office officials worked alongside Martin County Fire Rescue at the site of the two-boat collision near Sandsprit Park. No information was immediately available on the cause of the crash. As that information is released this story will be updated.